So...You Think You Can Scrap??? 1. You need to submit 4 of what you consider to be your best LAYOUTS. These may be 12x12 or 8 1/2 x 11. 2. These layouts do not need to be specially made for the auditions, it can be something you have already created. 3. You need to register for the gallery and message board and post a link in the "Auditorium" Thread to the "So You Think You Can Scrap" album of the gallery for your 4 layouts. Please include in the comments, supplies you used, techniques, etc. Anything that will help us gather information about you as a scrapper. 4. To be considered eligible as a contestant, you must be visible on the Message Board throughout the contest. Previous Posts (before the auditions) are not REQUIRED, but you will be given extra points throughout the contest as you participate within the community. 5. Every Registered member of the Itty Bitty Community holds one vote per "Round" of the contest. The Design Team also will be voting. 6. The Design Team members are not eligble to participate in the contest, however, they are welcome to participate in the challenges. 7. After the Auditions are completed 20 contestants will be chosen for the next round. Each round will bring new eliminations. The challenges within each round must contain NEWLY created layouts/projects. You will be disqualified for work not being original to the particular challenge during that round. For those not selected in the next round, there will be challenges and opportunities to win RAKs from the DT members and your participation is still important! We need you to help us decide who will win! 8. The entire contest will run for 6 weeks beginning February 1st, 2008. At which point we will announce the Winner and the two finalists. 9. All pictures submitted on the layouts must be the artists own pictures. This contest is about the whole process of scrapping, not just the craft behind it. We want to see YOUR work! 10. The Grand Prize will be valued at $150 with the two finalist prizes valued at $50 each. This is one contest you don't want to miss out on! We would love to have you come over and check us out. It's going to be tons of fun, lots of great challenges and who knows what else!!! Itty Bitty Scrap Shack is hosting a Great Ready for Love challenge!!! Create a layout (12x12 or 8 1/2 x 11) about the love(s) of your life. Maybe it's a person, maybe a place, animals, etc. Whatever you love, we want to see it! Send your entries to designteam@ittybittyscrapshack.com by February 1st. The winner will receive the February Itty Bitty Kit! You don't want to miss this! The February Kit rocks and you will love working with it. So let's see your layouts!!!! Just had to share this cute photo of my sweet baby girl. She was all ready for her first day of ballet class at a new dance studio. She was nervous and excited all at once!! We just got her those cute butterfly shoes, Airwalk skater shoes. So CUTE!! She's also wearing her cute Guess hoodie that her aunt bought her for Christmas. But you know I don't buy her Guess clothes!! She was just so ready to go, dance class is definitely HER thing. So, of course...a CUTE photo! I think there are great things in her to come. She wears her emotions on her sleeve and that sometimes gets in the way of being able to express herself. Which leaves her and us frustrated! But I know she will learn to handle those emotions and hopefully she'll dream big in life. I have no idea what i'm rambling about right now. I just love her so much! Such a CUTIE!!! 25% off Sale at Itty Bitty! Tiffany at Itty Bitty Scrap Shack is having a sale, clearing out inventory for NEW stuff she'll bet getting from CHA! Go check it out and see what you can grab. And then check back frequently as new stuff starts coming in. It's going to be fun! And come check out the message board. We are having challenges every week and starting in February...Techniques of the Week! Lots of stuff going on! Sneak peaks for the February kit at Itty Bitty Scrap Shack are up on the design team blog. You can also see the peaks on the message board. They are fabulous, this kit is awesome!! So many great colors and possibilities with this one. Go check it out!! Here is my first layout done with the February kit. Fun, fun, fun!! ALSO, wanted to share some photos from my son's 6th birthday party. We had it at Pump It Up, which is a great big warehouse filled with bouncey stuff!! Bounce houses, obstacle courses, slides, jousting rings, you name it!! Everyone had a ball! !Even the parents got in on the action. There was sweat flying, it got hot jousting and boxing with the 6 year olds!! I love you my sweet boy and I can't believe you are already 6. I hope we have 600 more years together!! Creative Scrap Shack is having their 1 year anniversary crop today!!! Carmen and all the fabulous girls over at CSS are posting fun challenges with lots of yummy prizes and live bingo and great fun and chatter! Come on over and join us if you have a chance. Pool boys are handing out drinks and there's plenty for everyone!!! Here's my personal pool boy, but you can pick whoever you want!! 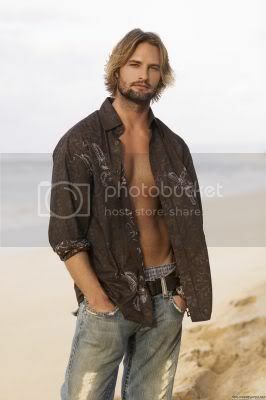 So come on by and have some cropping fun! It's time for another challenge at Itty Bitty this week! 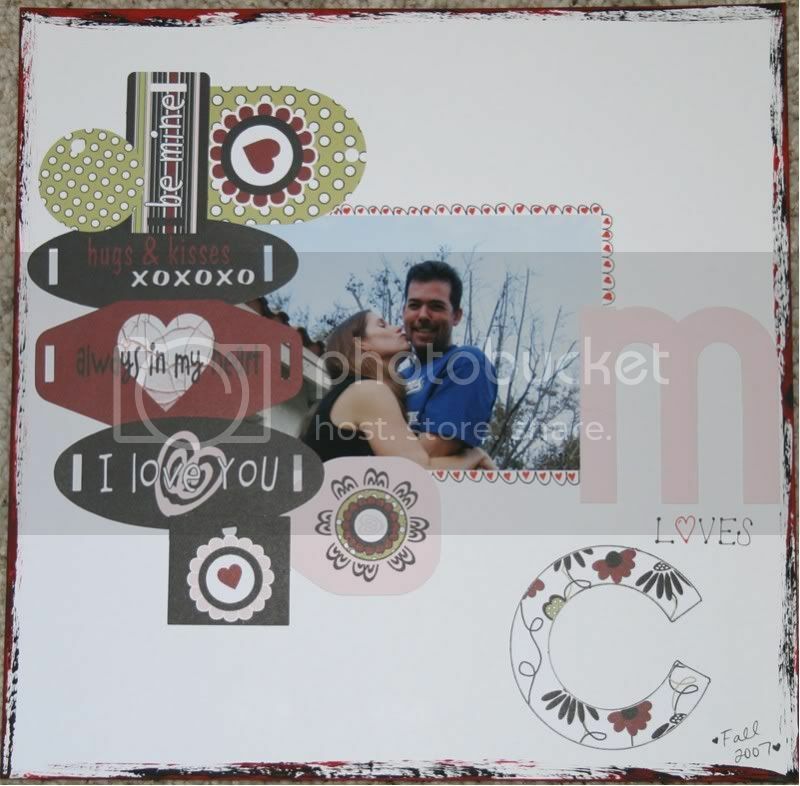 Come on over and get a jump on those Valentine's Day projects or cards. And check out all the other challenges from this week. We are having a ball chatting and playing during opening week. AND we're having a online crop Friday night! So come on by and see what fun we are having! Check out the Itty Bitty Design Team Blog or message board for more details. See you at the Shack! Come over and join us for the grand opening of the Itty Bitty Scrap Shack! We are having design team challenges and contests all week and are just starting to have fun over there. Tiffany, the owner, is working hard to get everything going and the design team members are throwing out some fun challenges. Come and join the Love Shack Celebration!!! I am so excited!!!!!! Tiffany, the owner of Itty Bitty Scrap Shack has invited me to be part of her very first design team!!! She has a brand new scrap store and message board and blog and technique classes that are about to be launched. I am excited and honored to be working with her and the other design team members. Stay tuned to see what she has up her sleeve, she's got many great ideas for her new site!!! Did I mention I was excited? I'm so excited!